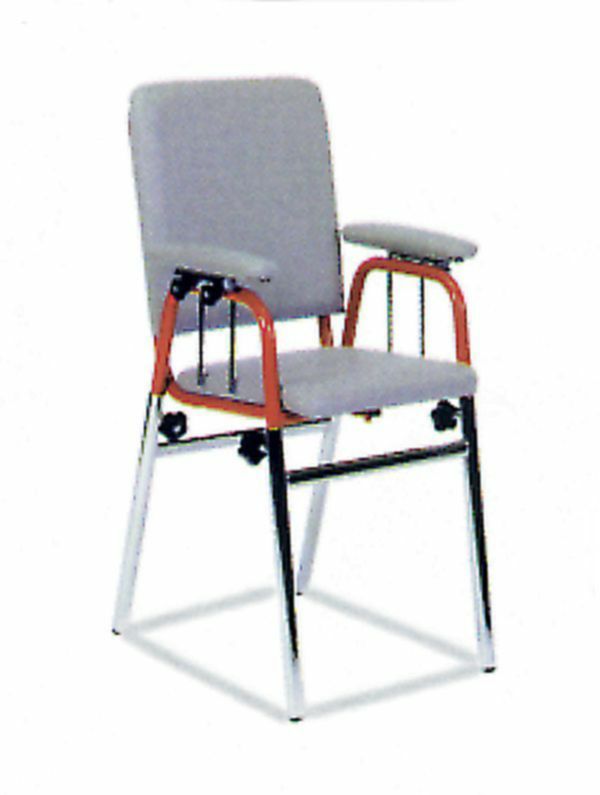 Tubed frame stable chair, made of coated and painted metal. The upholstery is made of leather. The armrests and the footrests are height adjustable. The legs spreader is removable and adjustable in depth.